The much loved Ferry Building up for sale? That’s a surprise. But wait. Not the building itself (built in 1889), which is owned by the Port of San Francisco (thankfully). What is soon to be up for grabs are the rights to the remainder of the Port’s Ferry Building 66-year ground lease. This according to a Bloomberg story, as reported in bizjournals.com. What the buyer gets are the rights to revenue from office rentals and retail space in the building. The expected sale price will be somewhere around or north of $300 million, working out to around $1,250 per square foot. The seller of the lease rights is the largest landlord in the U.S., the Blackstone Group, and the sale is expected to start within a few weeks. 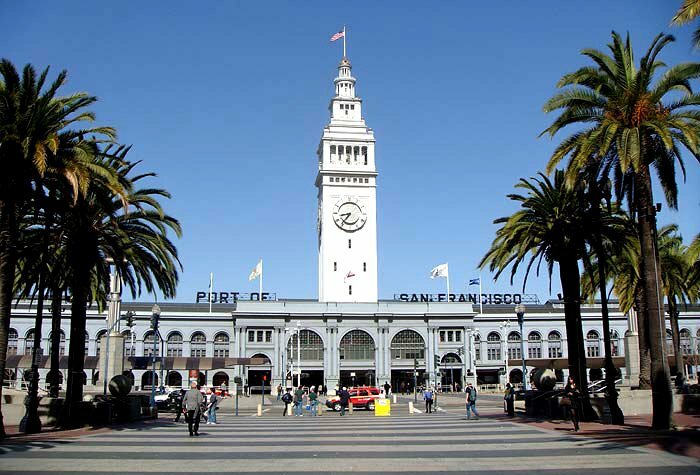 The Ferry Building has 175,000 square feet of office space and 65,000 square feet of retail space. Among the vacant office spaces, the rent is $95 to $100 a square foot. This joins some of the highest office rents in the nation. The new owner won’t pay a property tax (as the building is not being sold) but will have to pay an annual Port rent. That amount in 2012 was $1.5 million a year.